When failed Indian investigation team went to investigate David Headley, returned to India from Chicago, Indian govt. 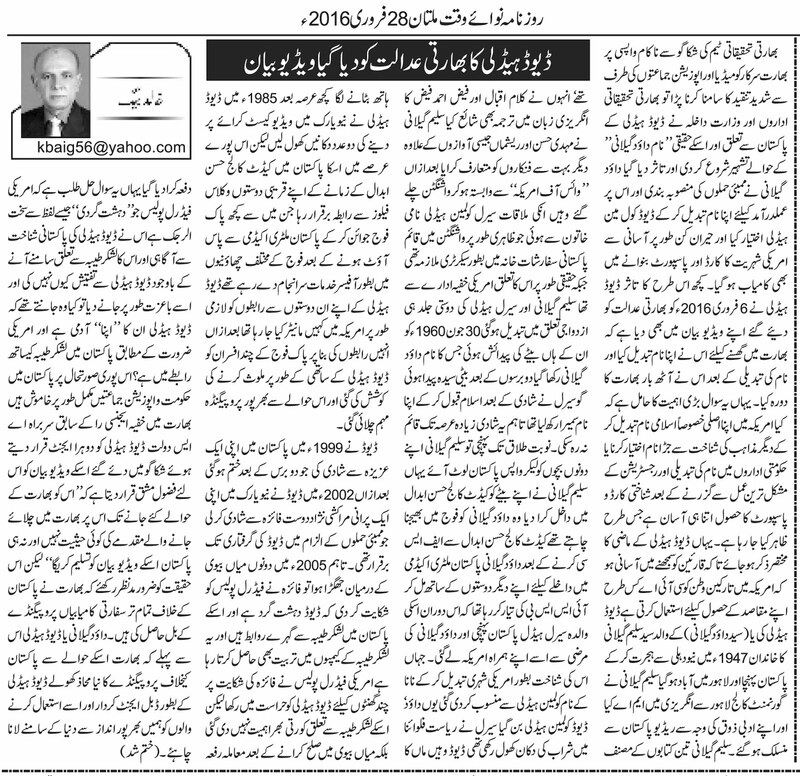 had to face severe criticism of Media and Opposition. 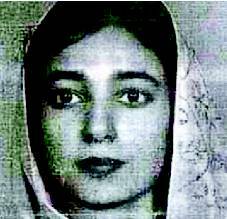 In order to get out of this situation, Indian investigation authorities and Interior Ministry started publishing the reports about his link with Pakistan and real name as “Dawood Gillani” and it was posed that Dawood Gillani changed his ID to David Coleman Headley in order to enter India and plan for the Mumbai attacks. Astonishingly, without any problem he got his fake US Social Security / Citizenship and US Passport with fake name. David Headley has also given supporting statement to Indian court on 6 February 2016 that he changed his ID and real name to enter India and visited India 8 times as David Coleman Headley. Here there is a great point of concern, is it so much easy and simple to change name especially Muslim name linked with the religion, and get fake ID and documents or change of the ID, name etc. is so much easier in USA that US departments does not do any security any check? 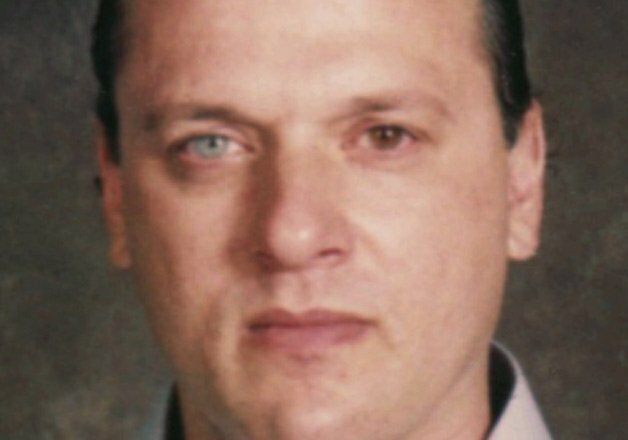 Here I would like to briefly discuss, the background of David Headley so that one may get the idea that how US govt. and Intelligence agencies like CIA exploit the foreign settlers. The father of David Headley (Dawood Gillani), Saleem Gillani migrated to Lahore from India in 1947. Saleem Gillani got Masters Degree in English from Govt. College Lahore and due to his interest in literature, he joined Radio Pakistan. Saleem Gillani also wrote three books, he translated poetry of Allama Muhammad Iqbal and Faiz Ahmed Faiz into English. He introduced Mehdi Hassan and Reshmaan and many such voices. After wards he joined Voice of America and went to USA, here he met with Serril Coleman Headley apparently working in Pakistan Embassy as Secretary but in fact she was working for US secret agency. 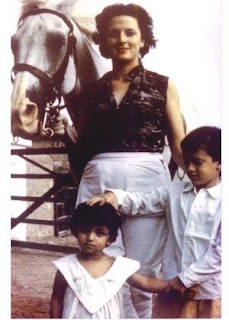 The friendship of Serril Headley and Saleem Gillani soon ended in Marriage; on 30th June 1960 a boy was born who was named as “Dawood Gillani”, after two years a girl was born. Although, Serril has converted to Islam and changed her name to Sumera as well but this marriage could not continue for long. On divorce, Saleem Gillani took both of his children to Pakistan and got his son Dawood Gillani admission in Cadet College Hassan Abdal. He wanted his son to join Pakistan Army. After passing F.Sc. 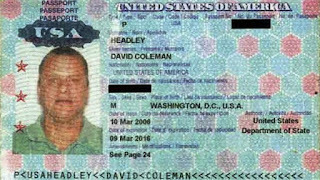 Dawood (David Headley) was preparing for his exams to join Pak Army that his mother Serril Headly came to Pakistan, took Dawood Gillani with her, and changed his name on the name of his maternal grandfather Coleman Headley, in this way Dawood became David Coleman Headley. Serril had a bar in the Florida and David used to help her. After sometime in 1985, David started a shop for renting out the Video Cassettes in New York. During this period, he got in link with his friends in Hassan Abdal College who were now serving in Pak army as officers. These links were obviously being monitored by USA, and an attempt of propaganda against Pakistan was made based on these links. In 1999, David married with one of his Pakistani relatives but this marriage ended after two years. In 2002, David married his old girlfriend belonging to Morroco namely Faiza, this marriage continued till his arrest under the allegations of Mumbai attacks. In 2005, when they developed some quarrel, his wife called and informed Police that David is a terrorist having links with Lashkar e Taiba in Pakistan and has been trained in the camps as well. US Federal Police kept David in detention for few hours but his alleged link with Lashkar e Taiba (LeT) was not given any importance. The whole matter was disposed off after making a reconciliation between husband and wife. Here this question is of grave importance that US Federal Police allergic to word TERRORIST, why did not they investigate David Headley despite of being aware of his links in Pakistan and allegedly with LeT. He was allowed to go without any enquiry means they knew that David Headley works for them (US intelligence agencies) and linked with LeT in Pakistan for US interests.